KATHMANDU, July 19: Nepal has the highest inflation in South Asia, according to a regional report. According to the Asian Development Outlook (ADO), published by the Asian Development Bank (ADB) on Monday, Nepal is projected to have the highest inflation rate in South Asia. The inflation rate has been the highest in Nepal among the South Asian countries for the last couple of years. Nepal's inflation started to stand above all the South Asian countries since Fiscal Year 2012/13, data shows. In 2011/12, Nepal had the third lowest inflation in the region after Afghanistan and Sri Lanka. However, inflation started going overboard since the last four fiscal years, and continuing the trend for the current fiscal year -- that started from July 16 -- too. The ADB has also projected the inflation rate to be at 8.2 percent -- that will also be highest in the region -- in 2016/17. Likewise, the ADB has projected 10.5 percent inflation for the last fiscal year 2015/16 -- that ended 3 days ago on July 15 -- the highest among the eight South Asian countries and double the regional average of 5.2 percent. Though the central bank and the government had targeted to keep the inflation under 8.5 percent in the last fiscal year, the inflation has been looking to go above double-digit, according to the central bank's macroeconomic report of the first 11 months of 2015/16. The consumer price inflation -- according to the Nepal Rastra Bank -- increased to 11.1 percent in mid-June, 2016 from 7.4 percent in the same period last year. Though supply side constraints and blockades have been blamed for high inflation, lack of effective and efficient market monitoring, irregular power supply and shortage of raw materials coupled with the transport syndicate are largely responsible for the ever increasing inflation. The increasing inflation has been pushing the vulnerable middle class and fixed income group below the poverty line, making Nepal the poorest country in South Asia by 2021, according to senior economist Madan Kumar Dahal. Currently, Nepal is the third poorest country in the region after Bangladesh and India, according to the World Bank report, which has not included Afghanistan, the newest member of the regional body. 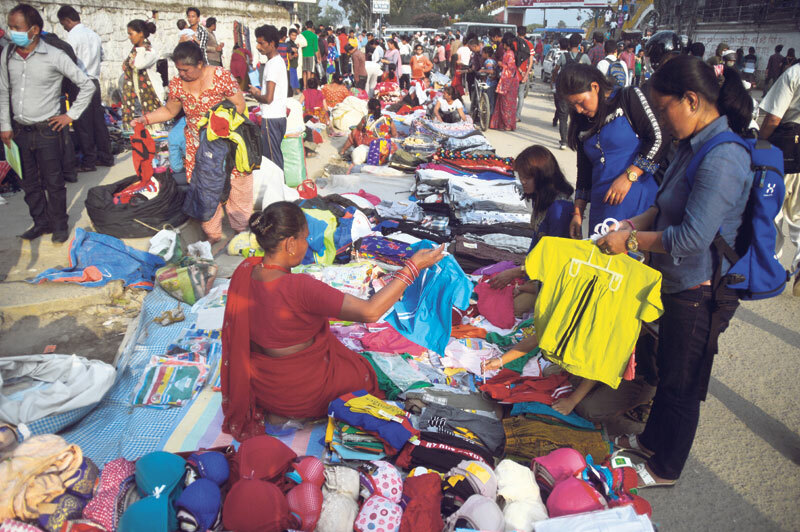 However, the Madhes unrest and Indian blockade have pushed almost one million more Nepalis into poverty. They will be joining the nearly one million already nudged into poverty by the devastating earthquakes of April and May. According to the ADB, the devastating earthquakes challenged Nepal's growth and development prospects over short to medium-term. The disaster exacted a huge human toll, taking nearly 9,000 lives and destroying 750,000 homes, factories, and cultural heritage sites. "It also upended the livelihoods of 5.4 million, pushing an estimated 3 percent of the population into poverty," it said, adding that the government's post-disaster needs assessment (PDNA) estimated $5.2 billion in capital stock losses and another $1.9 billion in economic losses. The combined losses are estimated to equal one-third of GDP. The cost of recovery and rebuilding the lost capital stock is estimated at $6.7 billion. Notwithstanding the significant cost of reconstruction and recovery, the key policy challenge is not the dearth of resources. Nepal's development partners pledged $4.0 billion in reconstruction aid during the International Conference on Nepal's Reconstruction (ICNR) that the government successfully organized in the aftermath of the earthquakes. 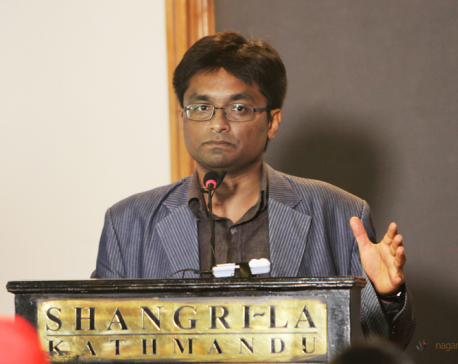 Further, in response to the earthquakes, the then Sushil Koirala-led government presented an ambitious budget for 2015/16, which increased total spending to 32.1 percent of GDP from 24.3 percent in 2014/15, while capital expenditure was more than doubled to 10 percent of GDP, apart from the $910 million allocation for reconstruction -- that is nearly half of the capital budget, according to the ADB. However, the bureaucratic dilemma and political wrangling halted not only the capital expenditure but also the reconstruction works. By the end of the fiscal year, the government has been able to spend only half of the amount set aside for capital expenditure. By the end of the fiscal year, the government has been able to spend Rs 117.59 billion capital budget or 56.30 percent of the total capital budget of Rs 208.87 billion, according to the Financial Comptroller General's Office. PARBAT, July 1: Poor management of drainage flowing alongside Kushma Bazaar has put the highest suspension bridge of Nepal in danger.